Way back in 2008 Doug always took me to Antique Stores, and Flea Markets and I hated almost every time. Now, going to Antique Stores, and Flea Markets makes me very interested at looking in every booth hoping to find something that catches my eyes. Last Friday, I went to the Flea Market here in town and I got excited when I found the rose flowers for just $1.99 and vase for just $1. 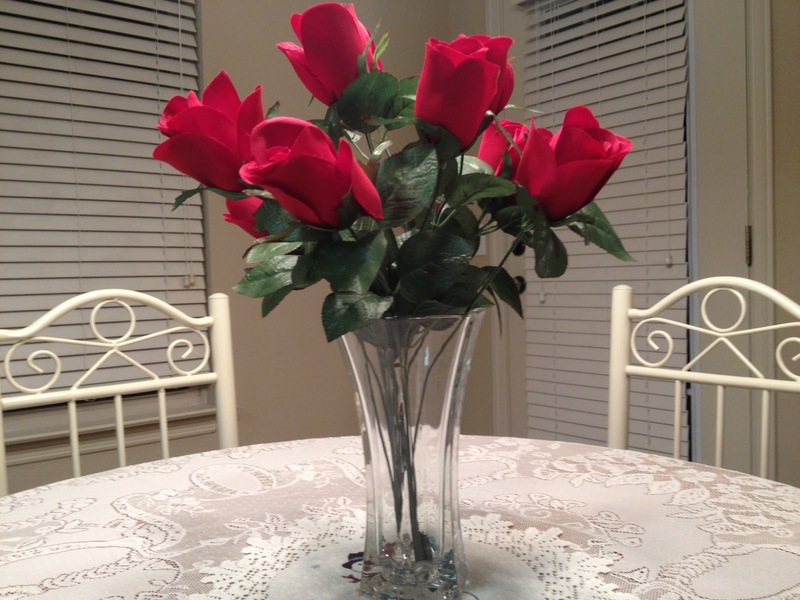 We hardly buy fresh flowers for the house because my husband, Doug has allergy and he keeps on sneezing. I know I can find much cheaper items at garage sales but as of now I don’t feel like getting up early in the morning and looking for garage sales. The other reason why we look around at Antique Stores, and Flea Market is to look for Charles NASCAR Cars collection. Charles has nearly 200 NASCAR cars now.